What exactly the Stellar network is and how it works? When I was young I could always count on Dr. Suess to help me better understand some of life’s more complicated issues with a nice simple story from mom, just before bed. Some nights, I wish he was still around to help me understand some technology in the world today. Today, I’ll do my best Dr. Seuss impression to explain how, The Cat In The Hat would send EUR to his friend Grinch in USA using the Stellar Blockchain Network. Let’s start by explaining what exactly the Stellar network is and how it works? The blockchain is made up of a network of servers containing Stellar’s data, websites and applications. A decentralized network like Stellar is made up of peers that run mutually exclusive of one another. Simply put, the Stellar network works independent of any single entity. The more independent servers the better so that even if some servers fail the network will continue to operate regardless. Just like the Internet, a network of decentralized servers around the world powers a distributed ledger for Stellar. Their ledger records all transactions and balances for each account on the network. Security is maintained by keeping a complete copy of the global Stellar ledger on each server running Stellar software. This decentralized network is formed by the servers, which in turn, validate and sync the ledger through consensus. Consensus is formed when the servers communicate with each other verifying transactions and sync every 2-5 seconds. Every transaction in the system is recorded on the ledger. A complete copy of the global ledger exists on each Stellar server. The network becomes more robust with more servers. So in our story, if The Cat In The Hat wants to send $5 to Grinch, all of the servers need to agree that, Cat does in fact own $5 worth of credit on the network before it gets marked as a valid transaction. Amazingly, this all happens in less than five seconds. The ledger records money as credit and is issued by anchors. Anchors act as bridges between the Stellar network and any given currency. Examples of real-world anchors are payment processors and banks. In exchange for your deposit, your online account is issued credit acting like a virtual wallet. Anchors do two things. First, they take the person’s deposit and issue corresponding credit to the account address on the Stellar ledger. Secondly, the person can then make a withdrawal by bringing them credit they issued. Anchors have to be trusted to hold your money and honor your withdrawals. PayPal function in a similar fashion except the Stellar network is nearly instantaneous, cheaper and more secure. Now back to our story. Issued credit can be sent and received between people on the network. Stellar has a distributed exchange. Cat In The Hat can send EUR credits to the Grinch using a USD credit balance. The network automatically converts it at the lowest rate. Grinch will receive EUR credit which he can withdraw using an anchor supporting EUR. The rate at which the industry is embracing Stellar based blockchains is very impressive. 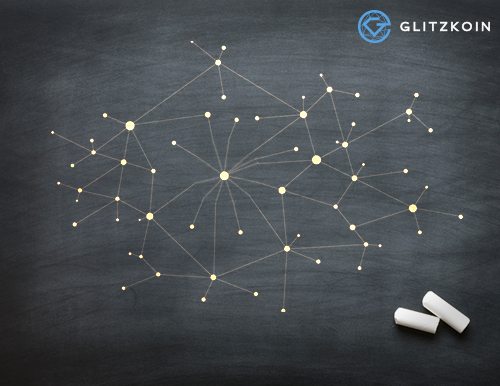 Additionally, because of speed and low transaction cost GLITZKOIN has partnered with Stellar to build a state of the art diamond-trading platform for the diamond industry. GLITZKOIN is led by a professional team of diamond experts and the finest talents from the blockchain sector.